Videos are not designed to be a substitute for instructions. Please refer to the detailed Documentation below. 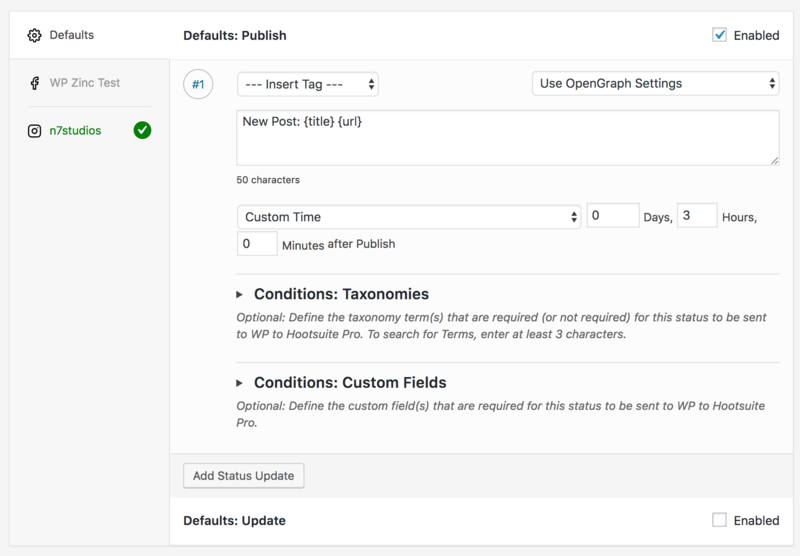 Use Plugin Settings: This Post will be sent to Hootsuite’s social media profile(s) based on the plugin’s settings. Post to Hootsuite using Manual Settings: This Post will be sent to Hootsuite based on the settings provided for this specific Post. To configure per-Post settings, refer to the Status Settings Documentation..